The European robin (Erithacus rebecula) is a small perching bird that can be found throughout many parts of Europe. It has an orange-red breast and face, olive-brown wings and back, a white to light-brown belly. You can sometimes see a blue-grey fringe around the bottom part of the robin’s red breast patch. 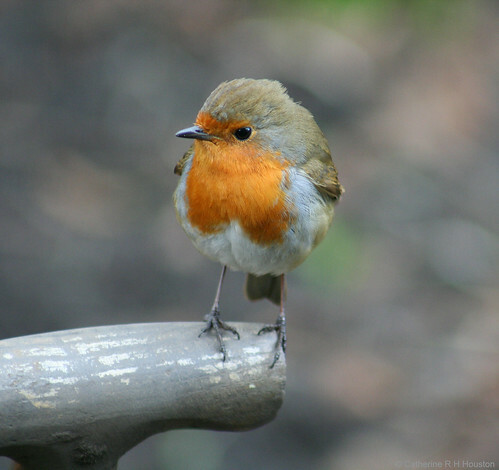 European robins have brown legs and their tail is bluntly square. They have large, black eyes and a small black bill.